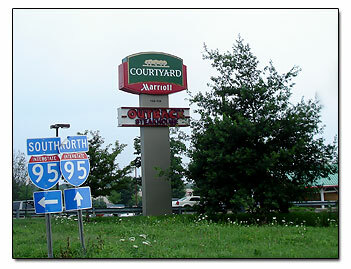 Here's another Marriott Hotel called the Courtyard, but it is considered to be located in Orange CT, which is on the town line with Milford. 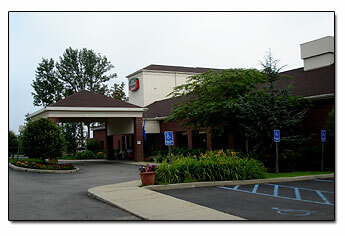 The Outback Steakhouse is located in front of the Marriott Courtyard, and looks like a real nice place to eat. We could smell the steaks grilling as we were riding by.